The College of Science and Engineering's Student Enrichment Opportunities Office (SEO) provides academic support, financial aid, and stimulating research experience in the sciences to students from underrepresented groups. SEO oversees multiple programs, including fellowships for undergraduates and graduate students, mentorship, and funding for students to attend professional scientific conferences, scholarships, summer internships. 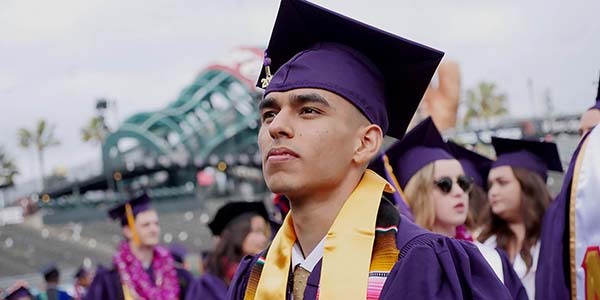 Many students receive annual stipends and partial tuition remission, allowing them to focus on their academic work and graduate within a shorter time span. In 2017, SEO funded 49 graduate students and 32 undergraduate students, dispersing $2,110,000 from federal and corporate sources. Every year, there are thousands of qualified students that we are unable to support. In 2018, the Office has a targeted goal of shrinking this gap by attracting funding from private sources to underwrite additional students. A gift of $17,800 will fund one undergraduate student’s tuition and research stipend. A gift of $28,800 will fund tuition and lab experience for one graduate student. San Francisco State University Professor of Biology Leticia Márquez-Magaña says science is facing a crisis. When it comes to chronic illnesses like diabetes and heart disease, the people with the worst outcomes — minority communities — are often left out of research profiles. “That’s bad science,” she says. SF State’s Planetarium is a key learning resource for the University's campus and community schools.